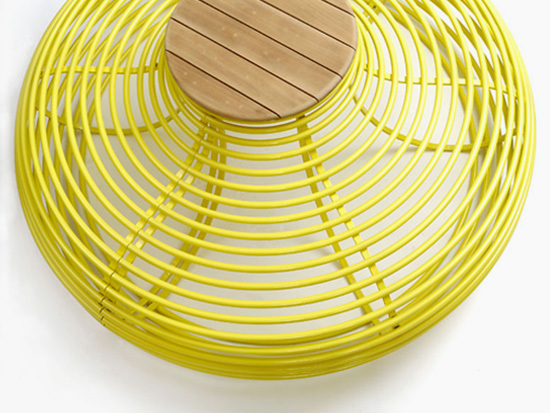 Our Kirv benches add a splash of colour and designer style to any outdoor space. 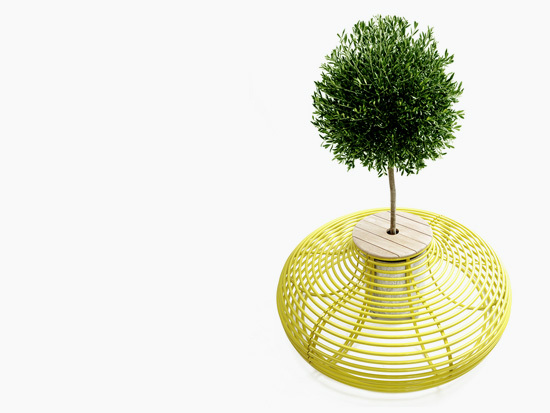 Designed as a sociable seating system they can be used with a tabletop, around trees or both. 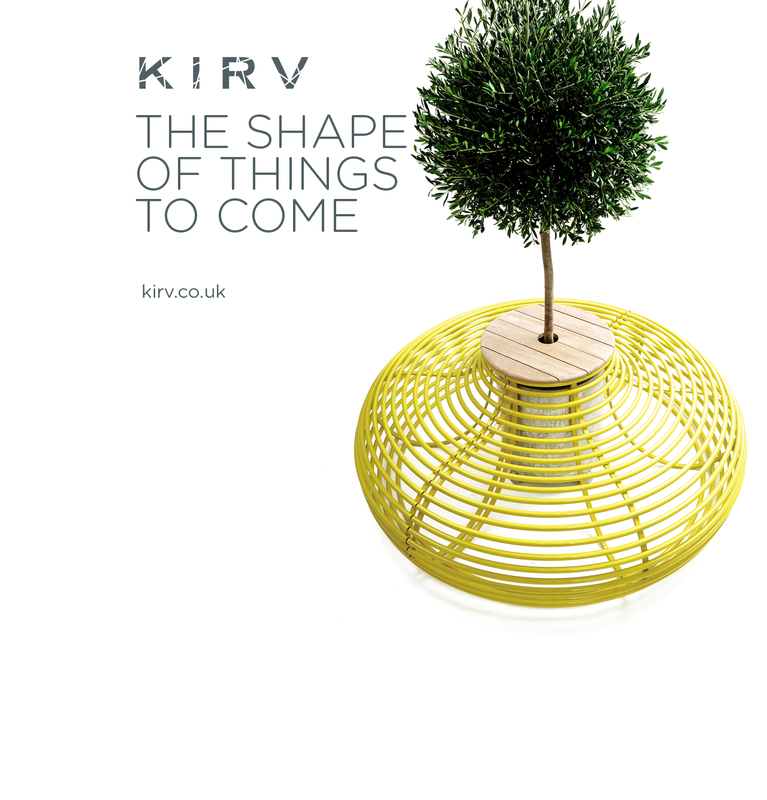 The Kirv Bench has the same profile as the Kirv Lo-Rise, making them ideal companions in outdoor schemes. The Kirv Bench is available electro-polished (link to finishes page) or powder coated (link to finishes page). We offer a choice of RAL colours as standard, others are available but may incur a small extra charge. We can work with architects and designers from concept stage or to existing schemes, to customise the Kirv Bench. The diameter can be changed, the density of tubing, finishes and colours can all be adapted. Unobtrusive security fixings can be provided for this bench. Half seats are also available to buy. Handmade in two halves from 304 grade stainless steel. It has 4 fixings to secure the bench. 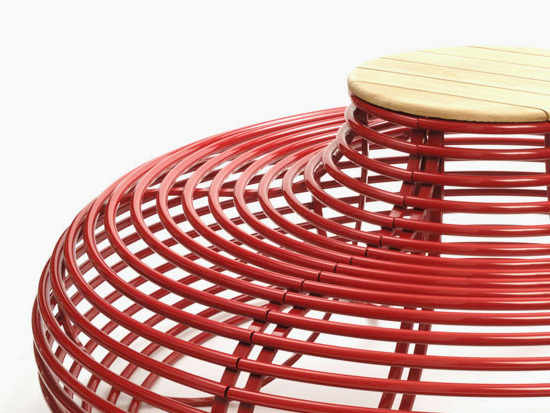 The standard bench has a 170cm diameter, but it can be made to any radius. 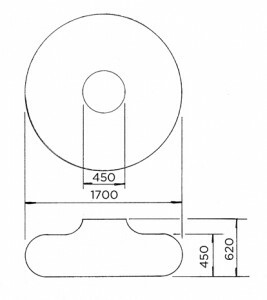 For an individual quote, where the bench is to be used as a tree seat, please supply us with the circumference of your tree, 60cm from the ground. Dimensions: 62cm high x 170cm diameter with an internal diameter of 45cm.